In 2011, Texas had 46 clinics; by September 1st there are likely to be only six left. 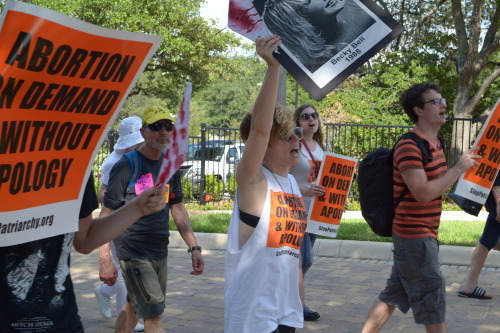 Nation-wide, hundreds of laws restricting abortion have been passed in recent years. Six states have only one abortion clinic left. In August (dates to be announced soon) the Abortion Rights Freedom Ride will caravan though Texas, stopping in Houston, Austin, San Antonio, and then down to the Rio Grande Valley near the Mexican border. People from around the country and around Texas will politically confront and protest those behind the anti-abortion attacks and laws, rally support for those on the front lines providing abortions, fight to change the way people think about abortion by raising the slogans: Abortion On Demand and Without Apology, and Forced Motherhood Is Female Enslavement — and wake people up nationwide to this emergency. One of our main goals of the Abortion Rights Freedom Ride is to change the terms of the fight around abortion. It has NEVER been about babies, it has always been about women’s enslavement or women’s liberation. Ray McGovern is a former CIA analyst whose responsibilities included chairing National Intelligence Estimates. He just wrote the piece “Will Obama Fire CIA Director John Brennan?” available at his website: raymcgovern.com. Quote: “According to my highly-placed Israeli source, during Operation Protective Edge, Hannibal was invoked twice, in the cases of Sgt. Guy Levy and Lt. Hadar Goldin. In both cases, they were killed after their unit was ambushed by Gaza militants. As they were being dragged away by Hamas fighters the remaining Israeli soldiers fired on them. In the case of Goldin, the IDF wounded him and killed the militant who was taking him away. But other fighters retreated with Goldin through a tunnel to Rafah. The IDF proceeded to inundate Rafah with heavy artillery fire and air strikes which destroyed all ambulances and vehicles approaching the nearest hospital (where presumably the Palestinian fighters might take Goldin to treat his wounds). In this fashion, 60 Palestinians were killed in indiscriminate fire designed to kill Goldin (and his captors). At first, the IDF said Goldin may have been captured. Later they said he appeared to have been killed by examination of ‘trace amounts of DNA’ found in the tunnel. Later still, the IDF announced they’d recovered his body. He was buried the next day and no one in the media except for me asked for an autopsy to be performed to determine how he died. The IDF did not want such an examination. The history behind Hannibal is that it was written to address the political and social trauma created when Israeli soldiers were captured by the enemy. In order to gain their freedom, Israel had to negotiate with either Hezbollah or Hamas to gain the release of their personnel. In the case of Gilad Shalit, who was held in captivity for five years, Israel released 1,000 Palestinian prisoners. The extreme Israeli right-wing complained bitterly at the ‘price’ the country had to pay for Shalit’s return, saying the freeing of ‘terrorists’ with ‘blood on their hands’ was an unforgivable act. The current right-wing government would prefer not to be seen as ‘weak’ on terror, so it accedes to a police which essentially eliminates any chance there will be future Gilad Shalits. The IDF military censor invoked an unprecedented demand on the New York Times when it demanded that the newspaper’s reporters pre-clear any reporting on the case of Lt. Goldin. The excuse they offered was that a distant familial relation between the dead soldier and Defense Minister Bogie Yaalon might provide a security weakness for Hamas to exploit. This was a smokescreen to conceal the censor’s need to suppress any discussion of Hannibal that might expose the real events involved in Goldin’s death. The Hannibal Directive is a secret procedure that is invoked when an Israel Defense Forces (IDF) soldier is captured by enemy forces. The Directive is portrayed by the Israeli media and officials in one fashion but implemented on the ground quite differently. The official version is that Hannibal allows Israeli forces to take enhanced measures to prevent the capture of its soldiers, including endangering the lives of those engaged in the capture by firing at a getaway vehicle, etc. In practice, Hannibal is a shoot to kill order designed either to prevent abduction or to kill the abductors and IDF soldier who’s been apprehended. It was implemented during Operation Cast Lead in 2009 when a soldier was captured in a home in Gaza. Israel media reported that the IDF shelled the building, killing both the soldiers and his captors. Apparently the Hannibal Directive was invoked twice in the recent conflict, in the cases of Sgt. Guy Levy and Lt. Hadar Goldin. This entry was posted in 9/11, Abortion, Bradley Manning, CIA, Cyber Surveillance, Democracy, Department of Homeland Security, Empire, Hypocrisy, Israel. 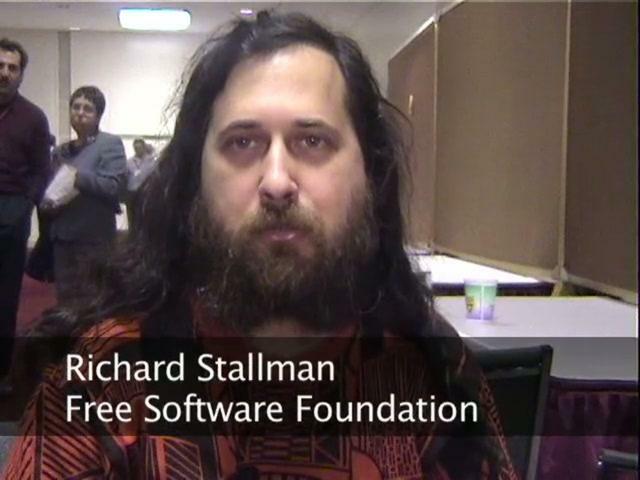 Richard Stallman was induced into the Internet Hall of Fame. 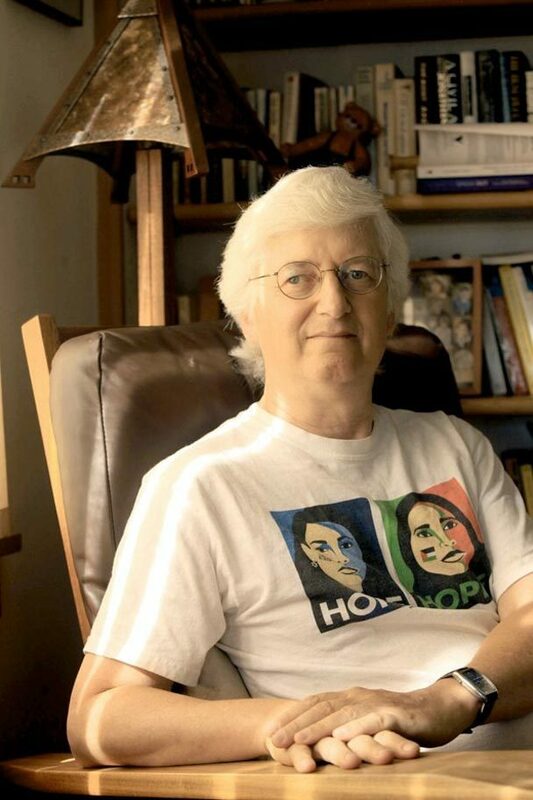 He is founder of the Free Software Foundation and has pioneered the notion of copyleft. [ foreign or domestic, requires you to follow Snowden’s example. Visit Ray’s Website for more. This entry was posted in 9/11, Afghanistan, Biometric, Bradley Manning, Bush, Cheney, CIA, Cyber Surveillance, Cyber Warfare, Democrat Corruption, Department of Homeland Security, Dictatorship, DOJ, Empire, FBI, FISA, Google, GOP Corruption, Hypocrisy, Intelligence, Mentioned on Air, News And Analysis, NSA, Obama, PRISM, Ray McGovern, Sept. 11, 2001: Repercussions, The "War on Terror", The Constitution, The Supreme Court, Whistle Blowing, WikiLeaks. Contrary to most political and media discussion of Social Security, not only is it not going broke, it has a large and growing surplus. We talk with Nancy Altman about the topic. Last week I read an alternative Presidential Speech by David Swanson (which can be found in its entirety here) which I felt was a good lens through which Obama’s speech on the ‘War on Terror’ could be viewed. Our second interview this week looks at the DOJ spying on the Associated Press and the prospect of Former Justice Department official James B. Comey being in line to become President Obama’s choice as the next FBI director. We talk with Coleen Rowley about these interconnected stories. Nancy Altman has a thirty-five year background in the areas of Social Security and private pensions. She is co-director of Social Security Works and co-chair of the Strengthen Social Security coalition and campaign. She is the author of The Battle for Social Security: From FDR’s Vision to Bush’s Gamble (John Wiley & Sons, 2005). Strengthen Social Security recently released an analysis of the Social Security Trustees report titled “Strengthen Social Security, Don’t Cut it: Key Points about the 2013 Social Security Trustees Report” PDF. Coleen Rowley is a former FBI special agent and division counsel whose May 2002 memo described some of the FBI’s pre-9/11 failures and was named one of Time Magazine’s “Persons of the Year” in 2002. This entry was posted in 9/11, Afghanistan, Arab Spring, Arab World, Bradley Manning, Bush, Cheney, CIA, Cost of War, Cyber Surveillance, Democracy, Democrat Corruption, Department of Homeland Security, DOJ, Economic Inequality, GOP Corruption, Hypocrisy, Obama, Social Security. During the past week, more than 30,000 Americans have signed a petition urging a Nobel Peace Prize for U.S. Army Private Bradley Manning, the whistleblower who was arrested nearly three years ago on charges that he provided an enormous quantity of classified documents to WikiLeaks. The petition, addressed to the Norwegian Nobel Committee and posted online, already includes several thousand comments from signers who explain why they want a Nobel Peace Prize to be awarded to Manning. Joining us to talk about this is Jeff Cohen. As the pressure continues towards possible armed conflict with Iran, we talk with Flynt Leverett about his new book, written with Hillary Mann Leverett, called Going to Tehran: Why the United States Must Come to Terms with the Islamic Republic of Iran. 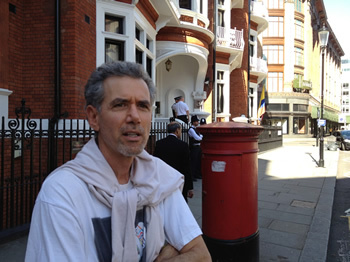 Jeff Cohen is Co-founder of the online group RootsAction.org, which launched the petition for a Nobel Peace Prize for Manning on March 25. Flynt Leverett is a senior fellow at the New America Foundation in Washington, D.C. and a professor at the Pennsylvania State University School of International Affairs. From March 2002 to March 2003, he served as the senior director for Middle East affairs on the National Security Council. Prior to serving on the NSC, he was a counterterrorism expert on the State Department’s Policy Planning Staff, and before that he served as a CIA senior analyst for eight years. Since leaving government service, Leverett served as a visiting fellow at the Brookings Institution’s Saban Center for Middle East Policy before becoming the director of the Geopolitics of Energy Initiative in the American Strategy Program at the New America Foundation. 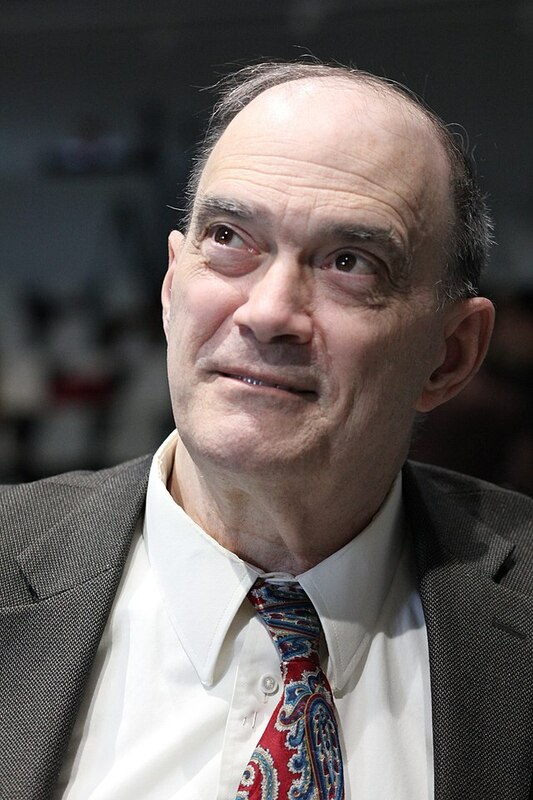 He has published opinion pieces in many high-profile venues, including The New York Times, POLITICO, and CNN, and contributes frequently to Foreign Policy. He has been interviewed about Iran and its geopolitics on leading public affairs programs around the world, includingCharlie Rose, The NewsHour with Jim Lehrer, Empire and Riz Khan (Al Jazeera English), Viewpoint(Abu Dhabi Television), Spotlight (Russia Today) and Washington Journal (C-Span), as well as in leading publications such as Der Spiegel and Le Monde. Along with Hillary Mann Leverett, he was featured in the PBS Frontline documentary, “Showdown With Iran”, and profiled in Esquiremagazine. This entry was posted in Arab Spring, Armed Forces, Bradley Manning, CIA, Elections, Empire, Iran, Iraq. Kevin Gosztola is the co-author of “Truth & Consequences: The U.S. vs. Bradley Manning,” Gosztola is covering the Manning trial at Firedoglake.com. Legal analysts note that if the Palestinian Authority has the political will it could do a wide range of things. This entry was posted in Arab Spring, Arab World, Bradley Manning, Gaza, Israel.